THE art of cutting cattle from a herd takes both determination and patience, two traits you might be hard strapped finding in most of today's teenagers. Two local young ladies have proven they have what it takes to be cutting champions at last weekend's Southern Queensland Cutting Horse Association's Chinchilla competition. 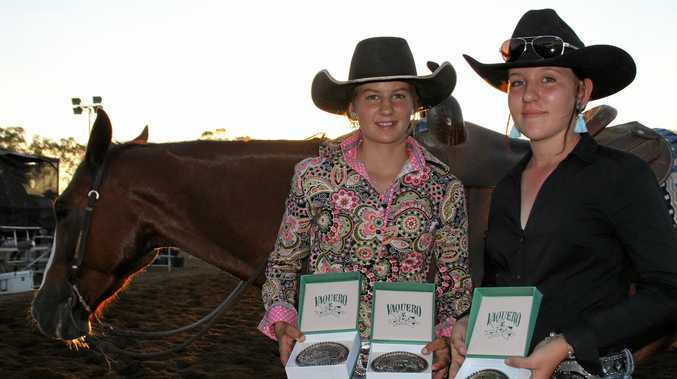 15-year-old Lara Brownhall from Jandowae received runner up the senior youth division at last weekend's Southern Queensland Cutting Horse Association Chinchilla competition, while Chinchilla's very own Kate Smith, 14, received the SQCHA junior youth buckle for her efforts at last year's meet. Brownhall, who took out last year's SQCHA $7500 non-pro and senior youth titles, stumbled upon cutting competitions a few years ago after receiving a snaffle bit horse. After attending a few compensations, she soon fell in love with the sport. "Competition give you such an adrenaline rush, you can't help but get hooked on it,” Brownhall said. "When your horse does well it's a very rewarding feeling because it takes a lot of time and effort to get the horse up to scratch,” she said. Alongside her partner in crime and plucky cutting horse, Let's Twist Again, Brownhall practices at least twice a week with additional sessions in the lead up to big competitions. Smith came about the sport through her mother, who has been involved with cutting for twelve years. She says cutting is an excellent sport for young women to get involved with, especially if they enjoy challenging themselves. "It's reasonably safe, it's a great family sport it's a good challenge for those who enjoy a challenge, and can be rewarding,” she said. Both young ladies are planning on attending the nest SQCHA competition in Condamine in May and Brownhall said she has plans to attend this year's National Cutting Horse Association competition in Tamworth later in the year. Brownhall said while the sport of cutting takes a lot of time, money and effort, she recommends the sport to more young women looking to try something new. "Definitely give it a go, it's a very friendly environment, everyone is really happy to help. Keep an eye out for clinics in the area, Heath Sinclair is holding a session in Gympie at the beginning of April,” Brownhall said. 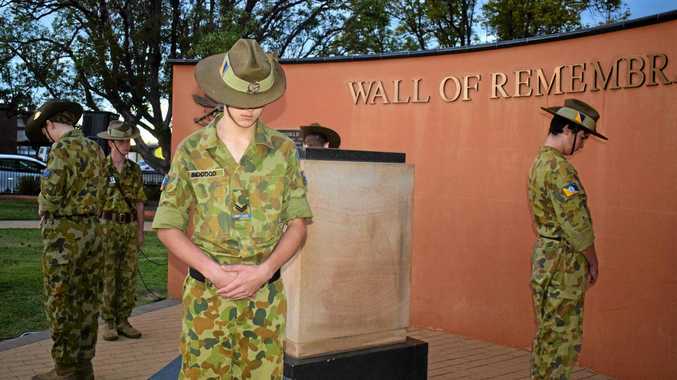 "I also have mum and dad to thank. They have done a lot for me, getting me to all my comps and putting in a lot of time for me,” she said. Chinchilla resident and SQCHA President, Terry Elliot, said the weekend's competition welcomes record number of entrants. "These cutting competitions have been running since 1977 and this has been out biggest show to date with 500 entries including pre-works,” Mr Elliot said. "I'd also like to thank Knobby's Transport for trucking the cattle in and out so efficiently,” Mr Elliot said. The next SQCHA competition is just around the corner on the May 10 weekend at Condamine sports grounds.